Author note: A homemade dry rub, combine with Dijon mustard and the Instant Pot Ultra will change the way you make ribs forever. 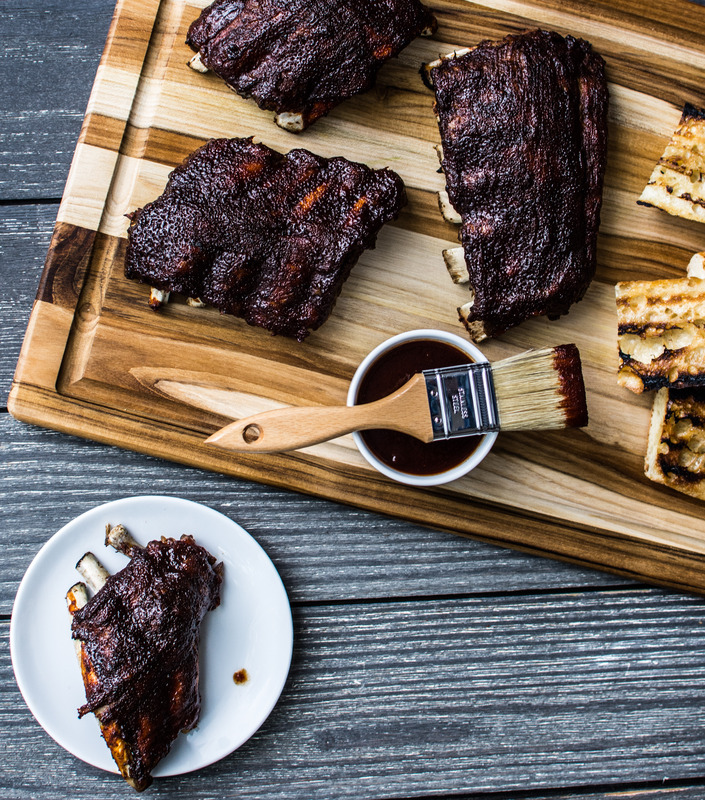 Finish off the cooked ribs with a broiler and barbeque sauce. This recipe is easy to assemble, full of flavor and quick to cook. This recipe can also be found on the Sur la Table website (click here for recipe). Combine the ginger, all spice, thyme, garlic powder, smoked paprika, chile powder and brown sugar into a small bowl and mix well. Evenly distribute the salt on both sides of the ribs. Evenly distribute the mustard on both sides of the ribs (use just enough to cover the ribs, there might be leftover). This will help the seasoning stick to the meat. Evenly distribute the seasoning mixture on both sides of the ribs. Place ribs in the instant pot by curling around the walls of the pan. Secure the lid on the Instant Pot. Cook on high pressure for 30 minutes. After the 30 minutes of cook time, immediately turn off the Instant Pot and set a timer for 20 minutes. After 20 minutes, release the remaining pressure. Allow all the steam exit the Instant Pot. Move your oven rack to the top position. Turn the oven to 500 degrees broil. Remove the ribs and place on a baking sheet, meat side up. Brush the ribs with barbeque sauce. Place on the top rack of the oven, making sure that they do not touch the heating element. If they do, drop the rack down one level. Broil for 1 1/2 minutes. Remove from oven, brush again with sauce and broil for 1 1/2 minutes. Repeat this step one more time for a total of 3 broil sessions. This entry was tagged A Pleasant Little Kitchen Instant Pot, A Pleasant Little Kitchen ribs recipe, dallas food blog, dallas food blogger, easy rib recipe, Instant Pot ribs, rib recipe for Instant Pot, rib recipe for pressure cooker, texas food blog, texas food blogger. Bookmark the permalink. They are spectacular and SO easy!